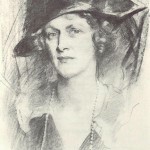 Edith Morley is believed to have been the first woman professor in this country. In our 2015 grants round, the Friends supported the publication of her memoirs. This will be launched in the Great Hall at this special event: In Conversation with Karen Blackett, OBE Chairwoman of MediaCom UK. Please click Edith’s photo – taken in Reading at the turn of the last century – for further details. Come and see us or volunteer to help man our stall at East Reading Festival. In 2015 we partnered with local charity RG Spaces to show our heritage info about the London Rd campus, alongside activities relating to the University’s Ure Museum, Ladybird book archive and Harris Garden.